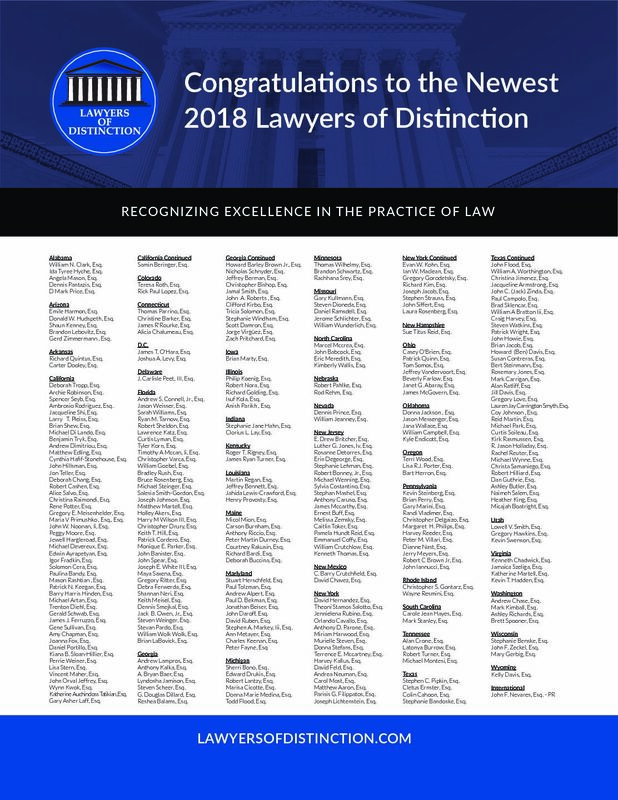 Lawyers of Distinction was recently advertised in the September Edition of The National Law Journal. Lawyers of Distinction will continue publishing member directories in national publications such as The New York Times. Lawyers of Distinction was recently featured in the June Edition of The Maryland State Bar Journal. 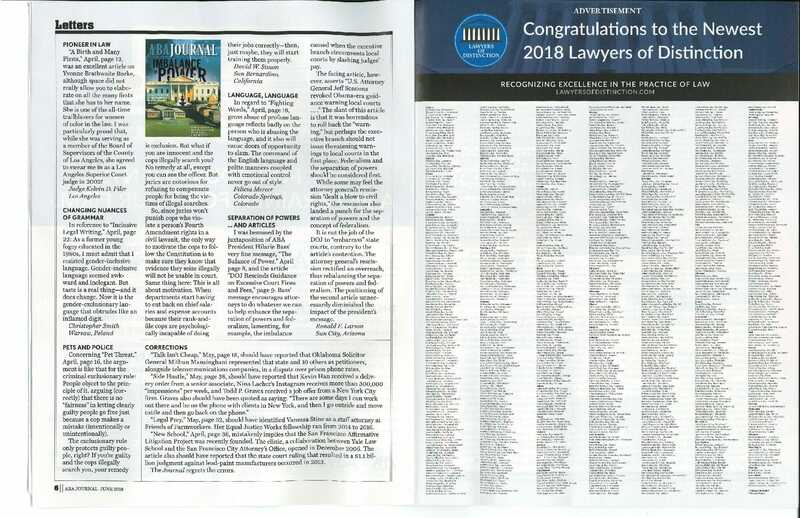 Lawyers of Distinction will continue publishing member directories in The Maryland State Bar Journal and several other national publications.